Toberroe National School is located in the townland of Toberroe East in North Galway. 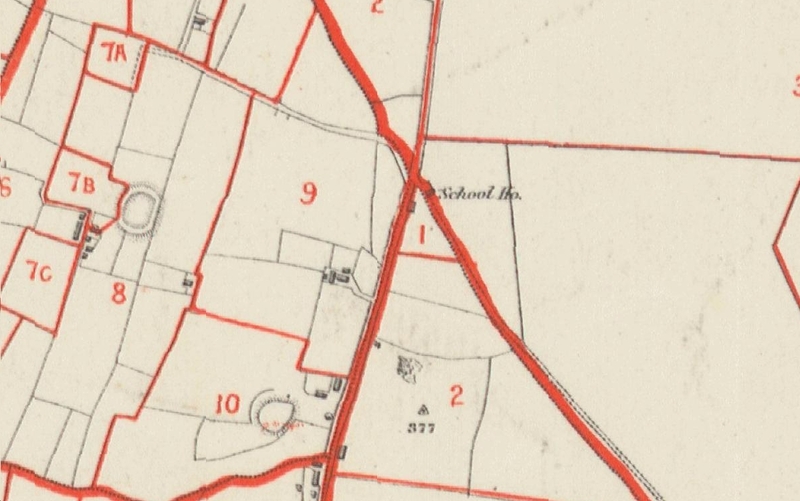 Although constructed around 1901 Griffiths Valuation of c.1855 shows that lands belonging to John Cheevers were at that time exempt from taxation as part school grounds and buildings. 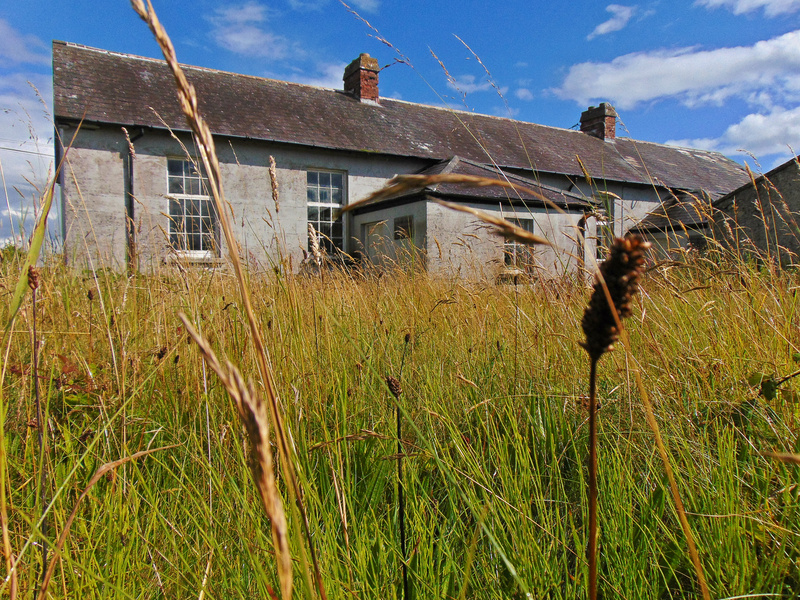 This would indicate that an earlier school house was in existence in the townland at this time. This earlier building can be identified on the north-eastern boundary of the townland on the First Edition Ordnance Survey sheet for the area (dating to c.1840). The present building continued in use until recent times and is in a good state of preservation with much of the old school furniture still inside. The present building comprises a detached eight-bay single-storey national school with separate entrances to rear for boys and girls. It has a pitched slate roof with render eaves, red brick chimney-stacks and cast-iron rainwater goods. The walls are rendered ruled and lined, having an inscribed limestone plaque. it includes square-headed windows having timber six-pane upper flaps over nine-pane fixed lights. There is a garden to front bounded by rubble limestone wall with gateways having square piers with chamfered caps and metal gates. 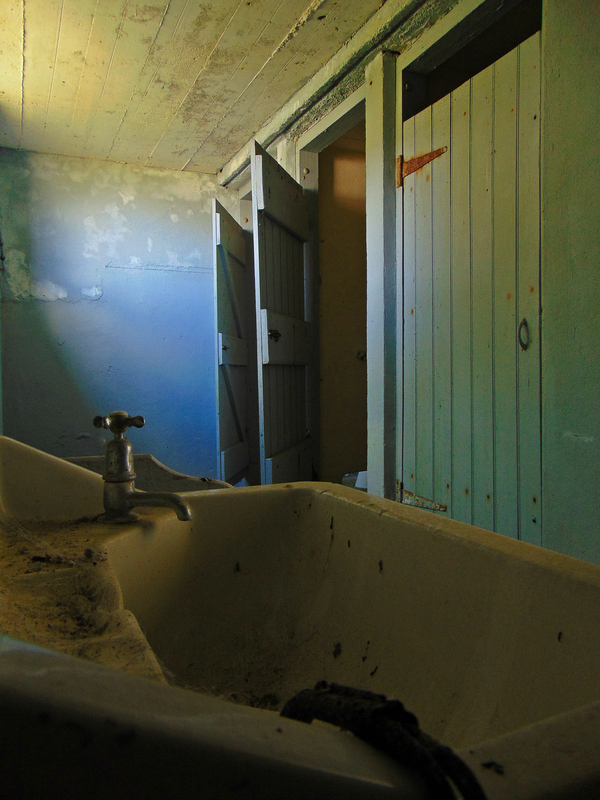 To the rear is the former toilet block for male and female children. This school, built to a standard design, is the longest of its type in the county. Although no longer in use, it is still in reasonable condition and retains its original timber windows and many other details. Thanks for the fabulous articles and photos of the disused schools, my father Frank Howley lived in Tobberoe and went to the Tobberoe school, he was born in 1900. and my mother went to the school in Sonnagh, she was born in 1905, there is another school heading down the road from the Sonnagh school to Kilchreest village, just before the church on the right side there is a disused school. Hey Bob, that’s interesting about your parents. If possible could you drop me a line via the contact page? Max, thank you for all the information. If possible, would you be able to drop me a line via the contact page so that I can get your email address? Blocks for the railings, were sold to Mountbellew Vocational School. Built in 1872, not well maintained with deteriorating stonework and not recognised as worthy of a grant. At least I have recorded the history of this Family, with a self published book, do not quite everything is lost. Thanks for sending on this information Max, it’s must appreciated. Well done for documenting the details before they were lost. Hey there – unfortunately I don’t know much about the current ownership of this school house. It’s a pity to hear that it is falling into further disrepair. I guess the easiest way to find out who owns it is to inquire locally? I hope you are successful in buying and restoring Toberroe. John Chevers was my gt.gt. grandfather, whose 2nd estate of Turlough, was responsible for the school. The house was burned down earlier in 1800’s. He lived at Killyan, where there was another National school, built in 1960’s and replaced in 1958, now closed. 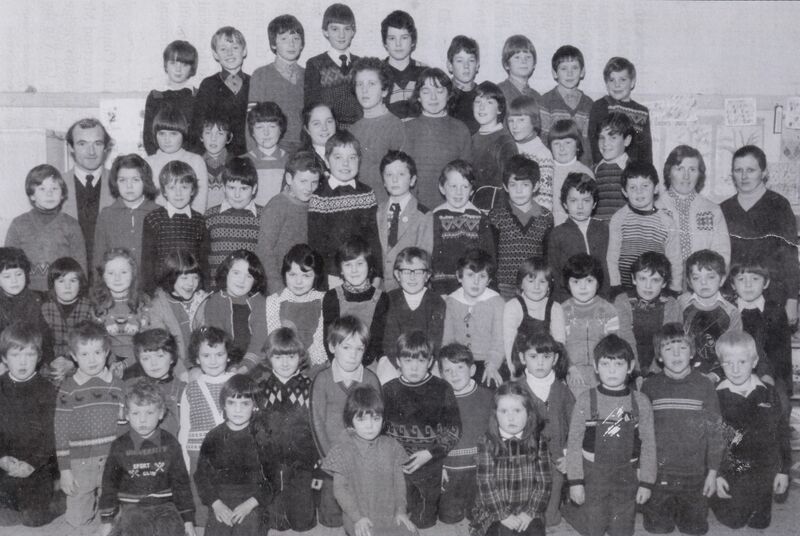 Possibly the Dept of Education owns Toberroe, or try the National school in Ballymoe,bwho may know. Thank you so much for posting this information. In researching my husband’s family I came across references to Toberroe and the National School. It appears that my husband’s great great grandfather as well as his son (brother of my husband’s great grandmother) were teachers at the Toberroe National School. We are still trying to find out more about the family. Their names were Patrick Morris, age 68, and a teacher in the 1901 census, and his son Edward, age 28 and a teacher in the same census. Both were living in Toberroe East. My sister in Laws father was Edward Morris. She doeant know much but we have some info on the family. Maybe you could Email me and see if we can fill in the missing parts. I’m not 100% certain that it is the right Morris family. My husband’s great-grandparents were Martin Gilleran and Mary Anne (Morris) Gilleran – originally from Ballymoe Galway. Both were National School teachers in Newtown Galway. I know Mary Anne had a brother Thomas who was a National School teacher in Windfield Galway. I believe Thomas and Mary Anne had a brother Edward who was also a teacher. Perhaps you can tell me if this appears to be the right family.